There’s something about 40 – The 40 days of Pythagoras, Greek Mathematician, Philosopher, Scientist & Mystic. The image on your left is of the Greek island, Samos. The place where one of the most famous mathematicians of the past, Pythagoras is believed to have been born in 570 B. C., very little in known about the man himself except that he traveled a lot, visiting places such as Egypt in his search for knowledge and God knows what else, what we do know is that he dabbled in various sciences and is remembered throughout history as a mathematician, scientist, philosopher and…even a mystic, whoever he really was, I only remember him from the math class back when I was in school, where we were taught the Pythagoras theorem. I recall, it was pretty easy. But was it knowledge that made his famous? Not at all as you’ll see. The following is a marvelous anecdote about him I came across a few years ago is an eye opener. Categories: Anecdotes, Daawah, Must Read, Original | Tags: chilla, daawah, greece, greek mathematician, leave home, maulana ilyasji, nizamuddin, pythagoras, pythagoras theorem, spiritual journey, tabligh, the.ijtema, theijtema, travels | Permalink. There’s something about 40 – The 40 days of Paulo Coelho. While I was checking my inbox this morning, I received an email from Goodreads inviting everyone who had read Paulo Coelho’s bestseller, ‘The Alchemist’ to ask him any questions if any for a discussion group event to be held on April 2nd 2013, as you may know, this is the Goodreads version of another social network’s similarly titled but much more famous discussion group where they invite celebrities et al for a tête-à-tête with readers across the world, now the book itself is something I had read a long way back, and one of those books I had read cover to cover, though I had a few questions I could ask Coelho, I still wanted to refresh my memory regarding the book itself, so off I went to Wikipedia’s page for ‘The Alchemist’. 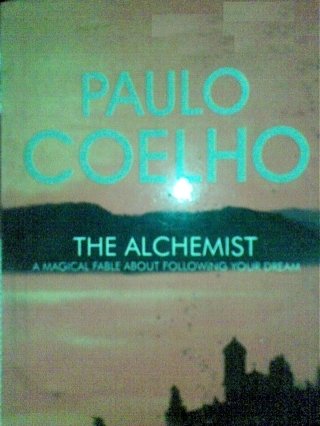 Of the many things I read, one thing caught my attention, the ‘The Alchemist’ itself was not Coelho’s first publication but his sixth and all of his previous books were failures, while this too appeared that it was going to tread the same path as the Alchemist’s first publisher, a local publishing house in Brazil, after having had very reasonable success with the book told Coelho in no uncertain terms that, that it was never going to sell, and that “he could make more money in the stock exchange”. Categories: Anecdotes, Daawah, Must Read, Original | Tags: 40 days of paulo coelho, chilla, daawah, leave home, maulana ilyasji, nizamuddin, paulo coelho, spiritual journey, tabligh, the alchemist, the.ijtema, theijtema | Permalink.